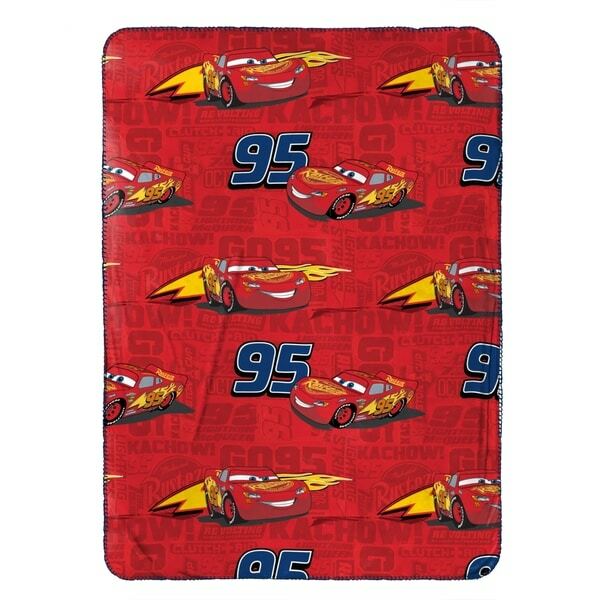 Enjoy comfort and coziness with this Disney/Pixar Cars 3 Kachow Travel Blanket year round. Perfect for around the house or traveling, kids are sure to love the bold design from their favorite movie. A must have for any Cars fan. Travel Blanket measures 40" x 50". Makes for a great gift. Easy care, machine washable. Imported. Disney/Pixar Cars 3 Movie Speed Trip Dark Blue Travel Throw Blanket, 40" x 50"